Brown ground beef in skillet until no longer pink. Drain. Add tomato sauce, sweet peppers, parsley and salt and pepper to ground beef and cook for 3-5 minutes. Put ground beef mixture in the bottom of a 9x13 baking pan. 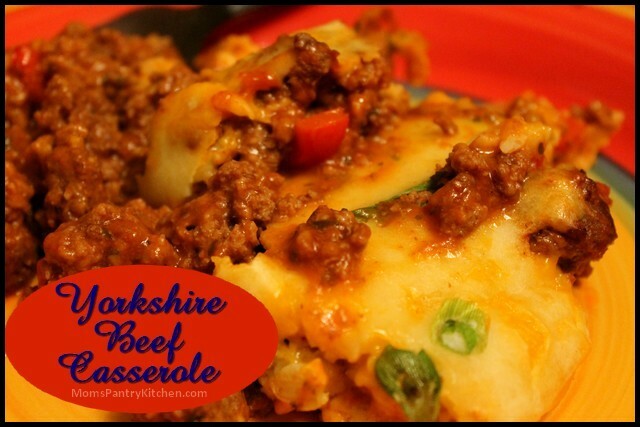 Cover beef mixture with shredded cheese. Bake uncovered at 425 for 25-30 minutes. Serve immediately. Also great reheated the next day.